Special package for 4 anti-aging and moisturizing organic sheet masks. The beautifully designed special package has a discounted price rather than purchasing 4 individual sheet masks. 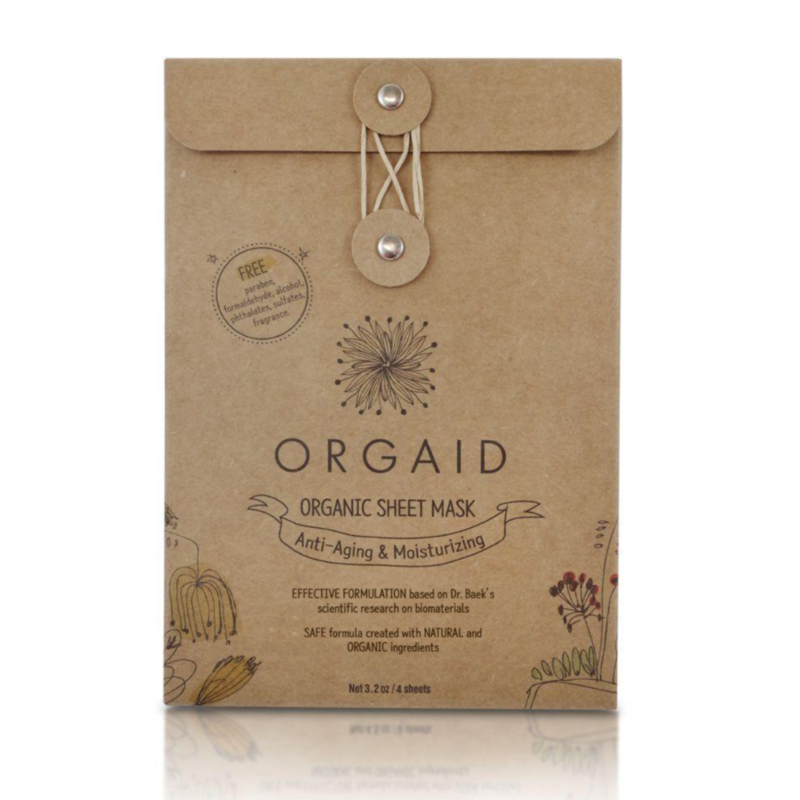 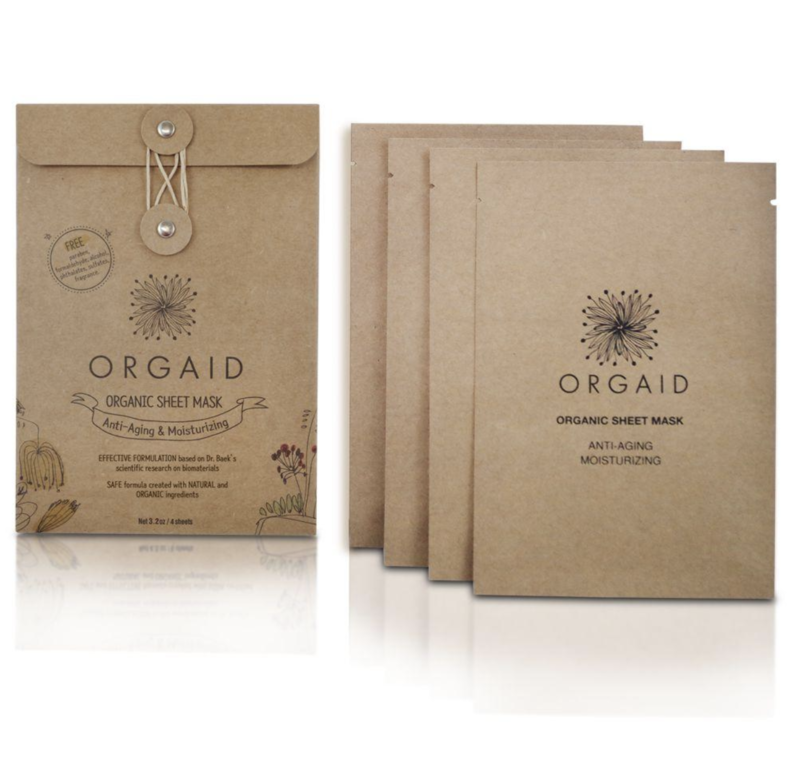 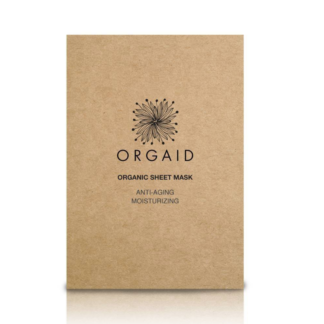 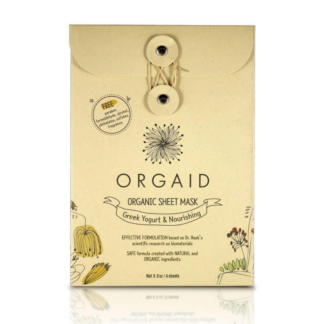 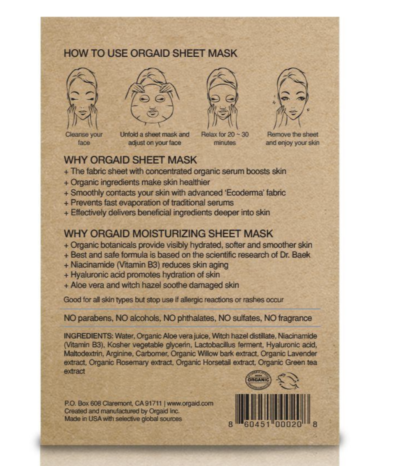 Orgaid’s sheet mask is developed for those who are looking for a safe and healthy skincare product that is convenient to use. 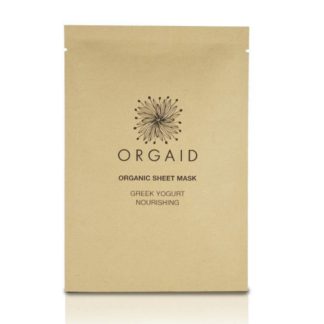 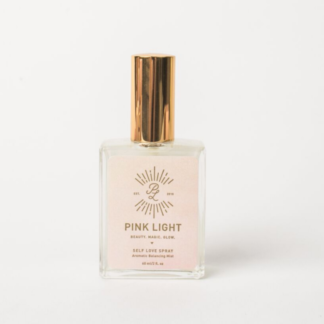 We use organic ingredients that are safe, and do not include any chemical preservatives. 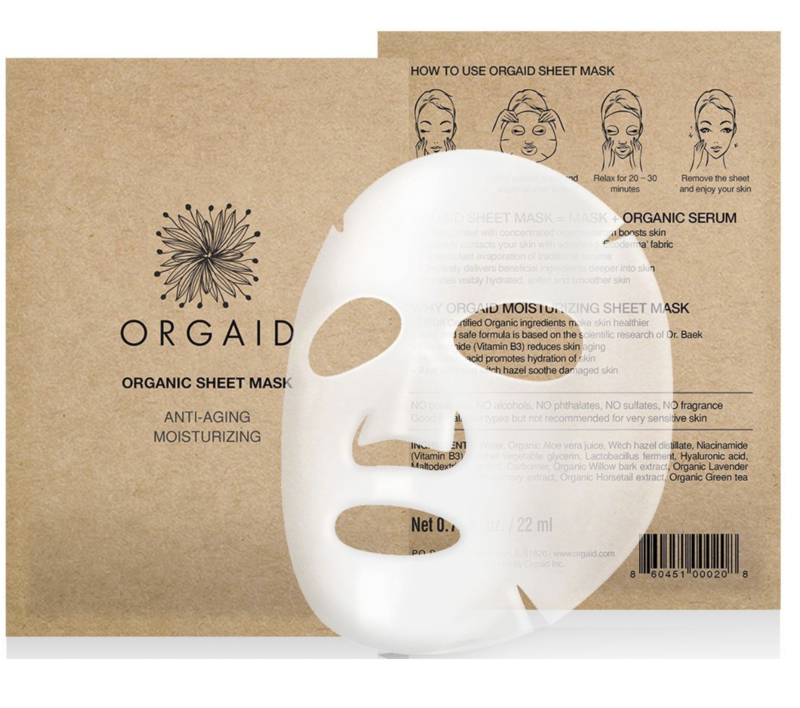 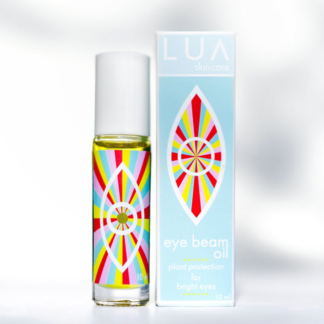 We also use “Ecoderma” fabric that is made with advanced technology to help soak in the serum deeper into skin.